An application to keep track of the regular expenses. 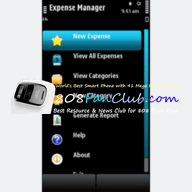 Ability to organize the expenses in different categories to have a clear view. Highly user friendly and suitable for quick use.